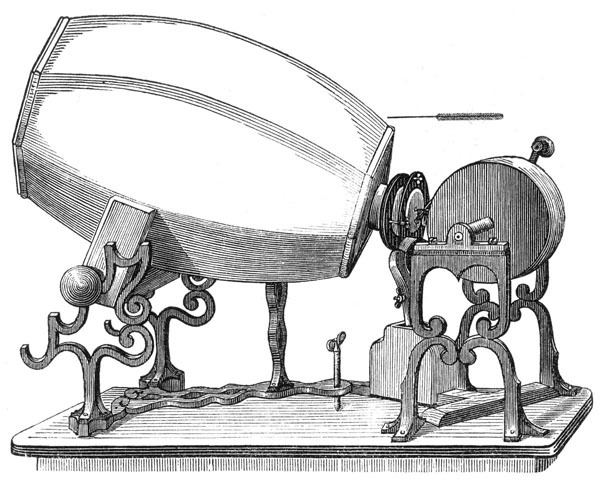 On March 25 1857 Édouard-Léon Scott de Martinville patented his Phonautograph, the earliest known device for recording sound. Suggested celebration: French macaron cookie with a glass of French wine. "The phonautograph is the earliest known device for recording sound. Previously, tracings had been obtained of the sound-producing vibratory motions of tuning forks and other objects by physical contact with them, but not of actual sound waves as they propagated through air or other media. Invented by Frenchman Édouard-Léon Scott de Martinville, it was patented on March 25, 1857..."